Rodney Schmuck and his wife, Millie, Hillside Manor's latest guests, seem normal, well, except for that last name. Innkeeper Judith McGonigle Flynn is touched to hear that the fortysomething couple is in town to visit family. Rodney is especially eager to see his long-lost mother - who he insists is Judith. Shocked to meet an alleged son she's sure she never had, she can't believe Rodney when he swears he has proof from a Norway General Hospital birth certificate listing Judith Anne Grover as his mother. Judith McGonigle Flynn is having a full house at her B&B. She has an entire wedding party occupying the premises. When the group shows up, one man - Rodney Schmuck - insists to Judith that he's her long-lost son, even though Judith knows she only has one child - and Rodney's not it. He shows up and insists he has proof she's his mother, although Judith's never seen it, and the man won't stop calling her Mama. The rest of the group is an odd assortment as well, but before they can truly make her crazy, one of the members, Rodney's wife Millie, is found dead one morning in the backyard out by the birdbath. After being told Millie died of natural causes, Judith is relieved - right up until the point where she is informed that there is a suspicious substance that has been found around Millie's mouth, and it appears she may have been poisoned. But who is the killer? Which of the nutcases who are occupying her home - Rodney Schmuck and his daughter Bella (the bride); Clark Stone (the groom) and his parents Cynthia and Stuart Wicks; The Reverend George Kindred and his wife Elsie; Charles and Agnes Crump; and Dr. Sophie Kilmore and her husband Clayton Ormsby - could have a motive to want Millie dead? 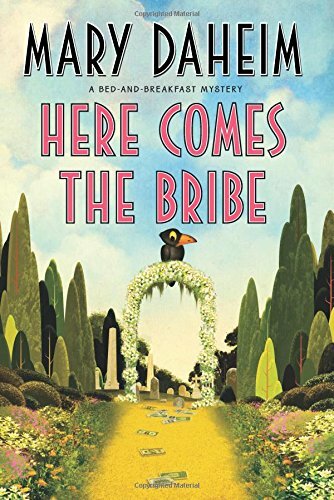 Judith knows it could be any one of them, and with the reluctant help of her ever-present cousin Renie, wants to find out who killed Millie and why. And even though Judith's husband Joe begs her to stay out of the investigation, Renie has no such hopes, and again follows Judith into yet another murder investigation. I absolutely loved this book. You would think that after writing this series for so long, it would become tired and trite. But Ms. Daheim is able to keep her characters alive and breathing, and inflects true personalities into them that is both fun and refreshing. The banter between Judith and Renie can only be described as love-hate; Judith's dry wit and Renie's sarcasm feed off each other and the insults roll between them although both of them know nothing is meant by it. Their poor long-suffering husbands, Joe and Bill, respectively, know what their wives are like and don't seem to expect miracles at this late date in the game. There are also some conversations between Joe and Judith's mother Gert, who lives behind the B&B in a converted toolshed, that are hilarious. Neither one can stand each other, and it shows. Judith tends to ignore their conversations - which probably is a good idea. When the book reaches a climax, and All is Revealed, it is wrapped up in a nice little package that leaves one as relieved as Judith must feel. While not as involved as previous mysteries in this series, nevertheless it is a satisfying enough ending to make me look forward to the next in the series. Highly recommended. Talia Marby has a new business in the Berkshires, Fry Me a Sliver. She's finally getting a new sign - even if it is on back order - and trying out new deep-fried recipes. One day she notices a new vintage clothing store has opened, and on the spur of the moment she decides to stop in and welcome them. She introduces herself to the clerk Kelsey, who seems pleasant enough. But a few seconds later a striking redhead emerges from the back room who ignores her and snaps at Kelsey. Talia leaves in a hurry, stunned by the rebuff from a woman she'd never met. Only later does Talia realize she knew Ria - known then as Orianna Butterworth - as a child, for it seems Ria stole a rabbit from Talia's best friend's younger brother, and Talia discovered it. It seems Ria has held this grudge for thirty years (!). So when Ria is found dead later that week - with Talia's Nana's scarf tied around her neck, Talia appears to be the main suspect in the murder. Even though neither of Talia's employees believe she's guilty - there's Lucas Bartolini, who rides a skateboard to work, is clumsy but nevertheless respectful and loyal; and Martha Hoelscher, who's older, grumpy, and won't talk about her past - it doesn't help her that the police keep interviewing her, hoping she'll trip up and incriminate herself. Yet Talia knows she didn't commit the murder, but who did? 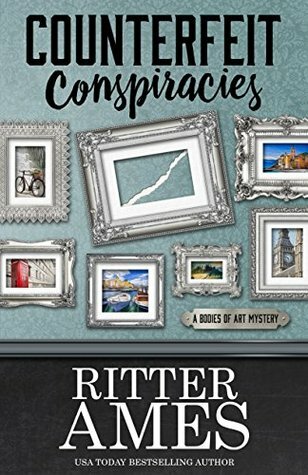 There is no shortage of suspects, and although there are many people with grudges against Ria, it doesn't seem as if there are any clear winners in who wanted her dead, and that in itself is different. It was for this fact that I especially liked the book - plenty in the running, with no one in the lead. Ms. Reilly weaves a wonderful story, with the words flowing off the page as easily as water running down a stream. The characters are interesting and well-rounded, and even Talia, who appears as capable as they come, has her own insecurities to deal with, which she does so admirably. The story moved along at a lively pace, and there were enough twists and turns to the story to keep me reading it in one sitting. With the wonderful characters, Talia's cat Bojangles (I'm a sucker for cats), and the colorful setting in the Berkshires, how can one not like this book? Although I had a few reservations about reading this book - I'm not enthusiastic about fried food - I was nevertheless surprised at how much I relished it. It was quite a fun read, and I liked the fact that the killer wasn't apparent within the first pages, as can happen with mysteries (and I read them a lot). When we finally do find out the killer, it comes as a complete surprise, and quite unexpected. This is the second book in the series, the first being Fillet of Murder. However, this can be read as a stand alone, so no worries there. For myself, I'm greatly anticipating the next book. Highly recommended. When Hayden Kent's mentor and friend discovers her son Mike's dead body, dressed in full scuba attire, washed up on Pigeon Key, she needs Hayden. Her paralegal and dive skills may help unravel the tragedy of Mike's last days. He'd recently discovered a sunken Spanish Galleon and rumors that he hit the mother lode ran through the Keys like wildfire. Hayden's dive on the treasure site uncovers gold, and clues that Mike's death was something far more sinister than an accident. When two different wills, both signed the day Mike died, are delivered to the courthouse, the suspect list grows, as do the threats against her. The danger escalates as she tries to save herself, discover the motive, and find the killer. Hayden Kent is a paralegal who works and lives in the Florida Keys, which is perfect for her since she's also an experienced diver and spends her free time exploring the ocean area nearby. After arriving at work one morning, she has a message from her friend Dana and when she returns the call, it jolts her: Dana, the woman who cared for Hayden after her parents' deaths, is frantic. Her son Mike was found on the beach dead - and by Dana no less. When Hayden arrives at Dana's, the woman is nearly hysterical. The police believe it was probably a diving accident, but Dana doesn't believe it. She tells Hayden that Mike, who owned a treasure salvage company, had discovered a wreck at the ocean bottom, and wants Hayden to dive the site - to see the last things that Mike saw, to discover the truth about Mike's death. 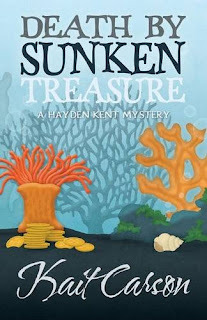 When Hayden makes the dive, she discovers the remains of a wreck, and brings back a couple of gold doubloons to prove it. Later, when Hayden goes to file Mike's new will - a will that leaves everything to his infant son - she discovers that someone else filed a second will on his behalf the same day. But the other will gives money to Dana and Lisa, his girlfriend and mother of his son, and Lisa becomes trustee of the child's money; plus the operation of the salvage permit for the treasure site goes to Devon Rutherford, Mike's former partner, with a financial split awarded to Devon and Jake Patterson, Devon's stepfather. It also leaves Mike's bar, The Petard, to Devon and Jake with Mike's son receiving a share of the profits. She's also not pleased to find Mike's ex-wife Kristin in town, filing for a part of Mike's estate, and with her is his ex-boss Rupert - whom Mike sued after an accident and received enough money to bankrupt the man. With the discovery of the new will, Hayden is convinced that it's grounds for murder, and one of these people murdered Mike. Suddenly Hayden has an entire plethora of suspects, and any one of them could have killed Mike for the financial gain, but which one? 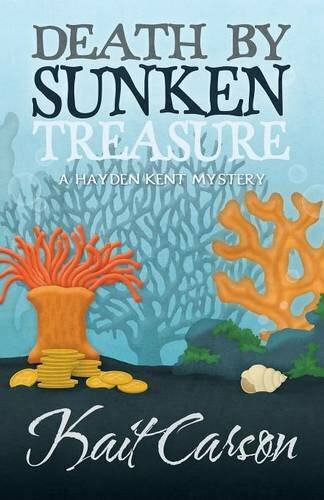 In Death by Sunken Treasure Ms. Carson has given us not only a delightful book to read, but a full blown, suspense-filled mystery. We are drawn into the world of diving the Florida keys and shown what can happen when even an experienced diver becomes distracted; how discovering a sunken treasure can change not only the one who finds it, but anyone else who happens to be in that circle. Greed can be a powerful motivator, and there is no doubt in this reader's mind that any of the scenarios in this book could have happened if they occurred in real life. Such is the ability of Ms. Carson's writing. 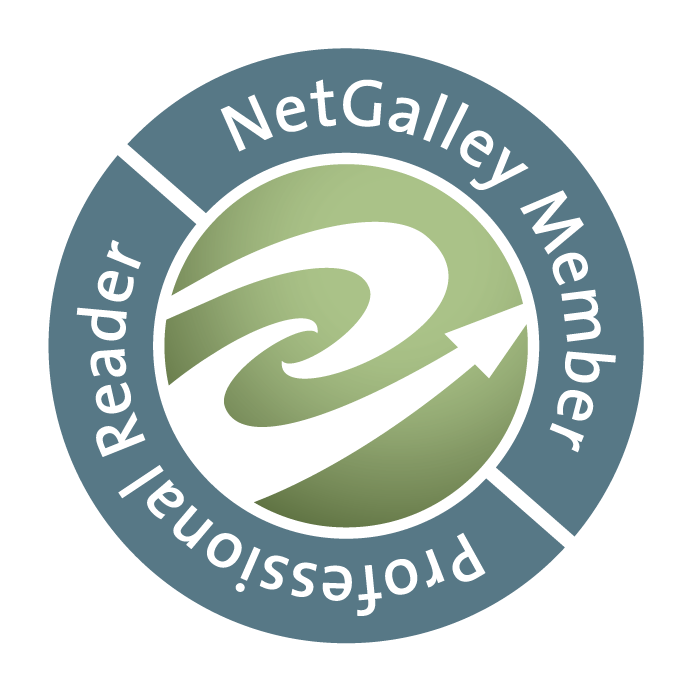 The plot is riveting, the intrigue palpable, the characters believable; and the tale itself is wound tightly like a coil of wire: pulling at it releases it slowly, but not without twisting and it never comes out easily or without trouble. Such is Hayden's struggle to find the truth about what really happened to Mike and why. When I got to the end, I will tell you that (having never said this before) I didn't see it coming. It truly blindsided me, and it was at the same time sad yet plausible. Bravo, Ms. Carson for giving us a story worth reading. 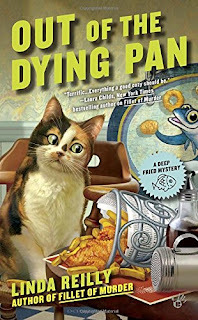 This book is the second in the series, the first being Death by Blue Water, although there is enough information given that it can be read as a stand alone. Highly recommended. Laurel Beacham may have been born with a silver spoon in her mouth, but she has long since lost it digging herself out of trouble. Her father gambled and womanized his way through the family fortune before skiing off an Alp, leaving her with more tarnish than trust fund. Quick wits and connections have gained her a reputation as one of the world's premier art recovery experts. The police may catch the thief, but she reclaims the missing masterpieces. The latest assignment, however, may be her undoing. 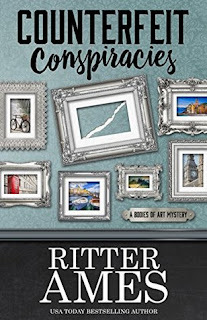 Using every ounce of luck and larceny she possesses, Laurel must locate a priceless art icon and rescue a co-worker (and ex-lover) from a master criminal, all the while matching wits with a charming new nemesis. Unfortunately, he seems to know where the bodies are buried - and she prefers hers isn't next. Laurel Beacham calls herself an art recovery expert, but she is, when all is said and done, a thief. Yes, she has noble reasons: she steals items that were originally stolen from others and returns them, yet, thievery it is, and she is very good at it. When we first meet her, she is recovering a priceless painting and returning it to its original owner. This successfully handled, her next assignment is to retrieve a snuffbox in Italy. But before she can do so, she notices a man who has obviously been searching for her; he approaches her, and she manages to avoid him quickly by finding a restroom. Unfortunately, she also finds the body of the man who possessed the item she has been searching for. When she quickly exits the restroom, the then-unknown man grabs her arm and steers her to a balcony, and lets it be known that he has seen her before - in several of her other disguises. At one point she manages to elude him and decides then and there that it is time for her much-needed vacation in Lake Tahoe. But while at Heathrow Airport in London waiting for her next plane, she gets a call from Max, her boss, and he tells her that there is another mission, to recover a prized sword that once belonged to King Arthur. Finding out that she will be working with her ex-lover Simon Babbage (whom she is still friendly with) she agrees and contacts him. But when she goes to Simon's home she finds him missing, and a strange woman in residence. Sneaking into the home, she sees that the woman has completely trashed Simon's office, so she calls and sends her on a false clue as to what she's searching for, (the sword), and manages, in the short time given, to retrieve Simon's laptop and a hidden flash drive. When she manages to leave safely, she again encounters the man who pursued her in Italy. All he will tell her is that his name is Jack Hawkes. Without going into heavy detail, Laurel is soon being pursued by more people than Jack; and it seems that the rest of them don't want her to keep looking for the sword. It also seems that no matter how many times she manages to elude Jack, he in turn manages to find her, and she realizes that they will have to work together if the sword is to be recovered safely. I was a tad skeptical of this book almost immediately when I read in the first paragraph "the Dobermans, Zeus and Apollo"...which were Higgins' dogs in the television series Magnum, P.I. I was left wondering if there would be more references to other series, later on; gratefully, no. Saying that, I will also say that this book is a fast, heart-stopping roller coaster ride. Laurel finds herself in various perilous situations, both with and without Jack. Although her quest is for the sword, she admits to herself that her main quest is to find Simon, whom she believes has been kidnapped by her nemesis Moran. To this end, she is willing to do whatever it takes, preferably without Jack. The reason for this is because while it seems Jack knows nearly everything about her, she knows nothing but his name. He asks her to trust him, but won't answer any of her questions. In this, I must agree with Laurel. Who would trust anyone if they asked you to follow them blindly, no matter what. He's given her no indication that he's on her side, and indeed, he may not be in the end. While I really wanted to like this book, I've always felt that in any book you need to like the decent (or 'good' if you will) characters or there will be problems, and yes, that was my main one. Jack bothered me. It is because of those reasons stated above. He wanted her trust, but never gave her a reason to do so. Which is also the reason I felt there was no chemistry between the two characters. There were also plenty of unanswered questions: Who killed the Greek and why? She tells her friend Cassie that when she was a child, her dog took a bullet for her. Why? What was her family's real occupation? Where did she learn her skills? Where was her mother all this time? Also, given her occupation, how is it that she maxes out her credit cards? Surely her career choice - putting herself in danger on a regular basis - would give her a tidy little bank account. Wouldn't her grandfather know her father was a wastrel? If so, wouldn't he have provided her a trust fund? These are questions I would have liked to have had answered at different stages while reading. Still, the writing was very good and there was enough action to keep the book from becoming boring. Perhaps in the next in the series, we will find out answers to these questions, and more. Recommended. B and B owner Bea Cartwright has taken on the responsibility of taking meals to ten visiting nuns, who are on retreat at the Water's Edge Center for Spirit and Renewal on picturesque South Bass Island on Lake Erie. But the peace of the retreat is shattered when one of the nuns is found at the water's edge - murdered. 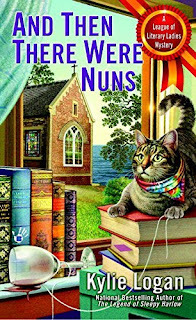 And when a second nun is killed, Bea and the other members of the League of Literary Ladies - Chandra, Kate, and Luella - start to wonder about eerie parallels with the Agatha Christie mystery classic, And Then There Were None. Bea Cartwright owns a B&B on South Bass Island, Ohio. She has agreed to furnish meals for ten nuns who are on a retreat at the Water's Edge Center for Spirit and Renewal, and is looking forward to it, never having been inside the mansion and curious to see what it looks like. When she meets the nuns, she finds out they barely know each other - they each received a grant from a philanthropic foundation for the work they do, and "won" the week's retreat as a personal reward, in order to learn from each other about their individual work. It also seems that there is dissension going on with the Literary Ladies (Bea, Chandra, Luella and Kate). Chandra has suddenly decided to put in a pool that nearly crosses Bea's property line - and a large streetlight that faces Kate's home - and deciding to put a stop to people who are fishing in Lake Erie, when she knows Luella depends upon it for her living. While Bea refuses to get into an argument about it, she knows at some point she's going to have to get Chandra to back down. I did indeed like this mystery very much. I felt that the nuns were drawn true to life, and acted much like nuns would have, given the situations they were unfortunately thrust into. I also like the fact that Bea was able to keep her wits about her; she's a strong character who manages to turn ideas around in her head until she comes to the most logical conclusion, without putting herself danger without an 'escape plan.' She's also given points for not allowing herself to be drawn into a fight with Chandra, as the woman was obviously baiting her on purpose. When Bea and Levi finally put it all together, the ending, although rather sad in a way, is believable and realistic. Though I figured out who the murderer was before Bea, even I couldn't have fathomed the reason. I felt this book had plenty of plot twists throughout, giving the reader the enjoyment of not figuring anything out too soon. This is the fourth book in the League of Literary Ladies series, and as such, quite a worthy entry. Ms. Logan gives us a tidy tale of secrets, deception and murder that is truly a pleasure to read. Don't worry if you haven't read the first three, this can be read as a stand alone, but after reading it, if you haven't read the first three, you'll probably want to go back and start at the beginning. Penny Lively loves running her family's winery, but to keep business growing, she needs to find a way to attract more guests. 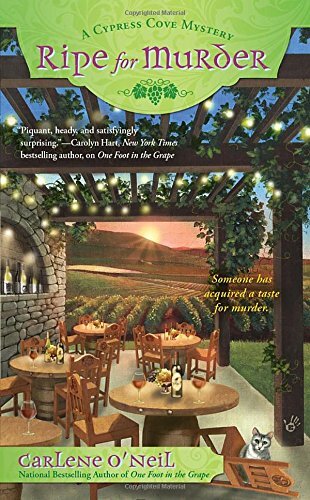 When she's approached to invest in a new train line through wine country, Penny and her intoxicating winery manager, Connor, hightail it to a lavish resort to hear the details. Unfortunately, her neighbor's daughter, Chantal, is also there, swirling up trouble by flirting with the married investors - and Connor too. Penny Lively runs Joyeux Winery in Cypress Cove, California. She has just had an invitation to be part of a group of investors for a new winery train line in Monterey County. Penny would be contributing a strip of land running alongside her vineyards, and in return the train would stop close to the winery's tasting room on its tour. When she finally decides to attend, she also invites Connor, her winery manager, to come along. Also along for the tour is her neighbor and distant relative Antonia Martinelli, who owns the largest and most successful winery along the central coast. But to Penny's dismay, Antonia is also bringing her daughter Chantal, an old nemesis of Penny's who once stole her boyfriend in high school, and now seems to be on the hunt for Connor. Once they arrive at the Silverado Mission Inn and Spa in Napa Valley, they meet the rest of the invitees who will be traveling in their assigned train car. There is Big Dave Duport, who owns a line of car dealerships; his buxom and young wife Tara, who grew up near Napa; Dave's son Vince, who seems surly and doesn't like Tara one bit; Jim and Kim, two married lovebirds from Chicago; and Bill, who is the engineer of the train that they will be riding for the tour. Also along are the bartender Seth, and his wife Barb, who is the waitress. At the first winery stop, it is discovered that Tara has a history with Seth and Barb, and not a happy one, either. It also soon becomes apparent that Tara is loud, brash, and doesn't like women one bit. It doesn't take long for her to get into an argument with Chantal, and Tara slapped her...and it escalated from there, with the two volatile women fighting with each other. Even though they were soon separated, the atmosphere is tense between them while they continue on. Then there is a squeal of brakes, and the train suddenly stops. When Chantal and Tara are missing, everyone fears the worst. But they aren't prepared for what they find: Chantal on the floor of the caboose with a cut on her head, and Tara...lying outside across the tracks, her head at an odd angle. Tara is dead, and Chantal is now the chief suspect in her murder. Since the investigating officer, Chief Harding, seems to be satisfied with Chantal as the murderer, Antonia knows her daughter is no killer and asks Penny to help her find the real one. So Penny is reluctantly drawn into finding out who killed Tara and why. Since it appears quite a few people had reasons to want her out of the way, Penny has her work cut out for her. Penny has never been known to be tactful, and she has no problem confronting people regarding Tara's death. But eventually it becomes clear that Penny herself might be the next target. 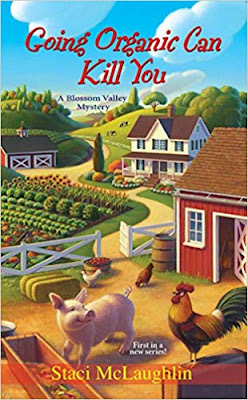 And when there's another murder, Penny knows she's getting close and must find the killer before she's victim number three. I truly enjoyed reading this book. Ms. O'Neil gives a wonderful description of the winemaking process, and the area surrounding Napa Valley. The descriptions of the area are so rich that it inspires me to make a trip there myself. I've known some of what goes into making wines, and how tastings work, but found interesting the information regarding barrel tastings. Her characters are convincing and realistic; we see Penny's internal warring with herself over her feelings for Connor, and even though she dislikes Chantal, she knows the woman is not a killer and does her best to help, even though she feels Chantal not only doesn't appreciate it, but that she is throwing herself at Connor every chance she gets. It doesn't help that Antonia is goading her to take action regarding this. While a few of the characters involved were not only unsavory but unlikable, it was difficult to decide which of them might have been the murderer. When we do find the truth of the situation, on the whole it seems a strange irony, and one wonders if the second murder would have been solved if not for Tara's demise. This book was very well done and Ms. O'Neil has a gift for making everything fall into place exactly as it should. Highly recommended. 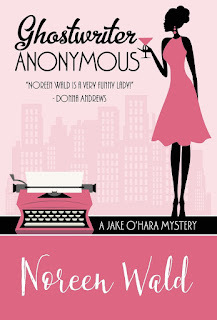 With her books sporting other people's names, ghostwriter Jake O'Hara works behind the scenes. But she never expected a seance at a New York Apartment to be part of her job. Jake had signed on as a ghostwriter, secretly writing for a grande dame of mystery fiction whose talent died before she did. The author's East Side residence was impressive. But her entourage - from a Mrs. Danvers-like housekeeper to a lurking hypnotherapist - was creepy. Still, it was all in a day's work, until a killer started going after the ghostwriters, and Jake suspected she was chillingly close to the culprit. Attending a seance and asking the dead for spiritual help was one option. 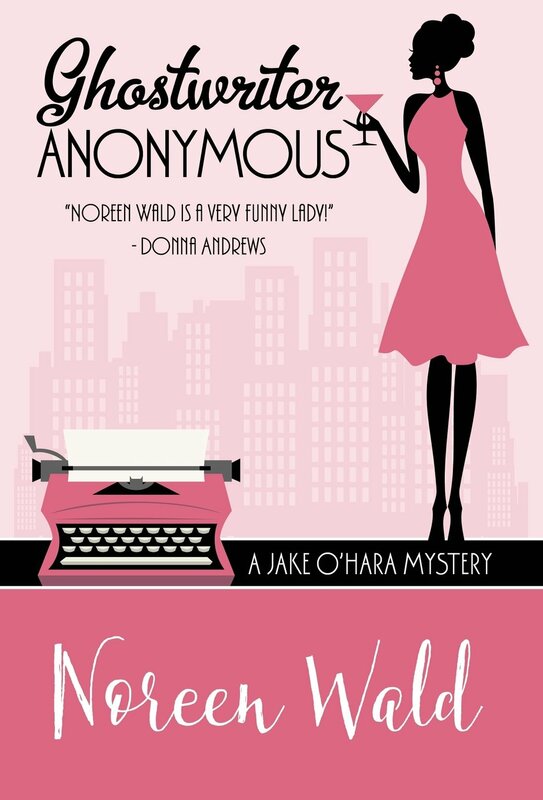 Some brilliant sleuthing was another - before Jake's next deadline turns out to be her own funeral. Jake O'Hara lives with her mother Maura in a Manhattan co-op, and is a ghostwriter. Although she's never had the luck to make piles of money from it, she manages to barely keep her head above water. One night, during one of her mother's Friday night get-togethers of lesser literary lights (such as her legally unpublished daughter) there is different guest, Johnathan Arthur, who has been invited by Maura. He is there to discuss a business arrangement with Jake. He wants to hire her as a ghostwriter for Kate Lloyd Connors, America's Queen of Mystery. Jake agrees to meet Kate the next day for lunch, and returns to the gathering. The next morning brings Jake to a meeting of Ghostwriters Anonymous, where fellow ghosties can vent about their problems to others who truly understand whatever it is they're going through. On this day, however, Ginger, another member, tells Jake she's worried about Emmie, a no-show here and also at her home the night before. Just as she is ready to leave the meeting, another member, Barbara, stops Jake and tells her that she's been scared stiff regarding the book she's writing, which is about the Mob. I found the premise of this book different in that it concerned ghostwriters - one of those nameless people who write books but never see their own name in print. It intrigued me enough that I wanted to read the book, and I'm glad I did. It begins as a simple missing persons case, then becomes a murder case that entwines several people together, each one leading to more questions than answers, and with plenty of red herrings. Along the way Jake meets Ben Rubin, a homicide detective assigned to the case who wants to be more than friends and reconnects with Dennis Kim, a grade school friend who is now a powerful attorney with ties to both women and also wants to be more than friends. There are plenty of suspects and several subplots that manage to connect the dots and pull the main plot together at the end. Instead of confusing the reader, it manages to add to the suspense and enriches the book. When we finally find out the identity of the murderer, is shows how twisted human nature can become when ego gets in the way. A very good beginning to a new series. Highly recommended.